You've bought from this vendor 16 times. Vegetable butter, eggs, cream, sour cream, ham, Swiss cheese, salt, pepper. Q: Do your quiches have onions on them? I'm allergic. A: No onions in our recipes. Q: How long may these stay in freezer. My mom has to have gluten free foods and I purchased this last week. She absolutely loved it. Q: What are the cooking directions from frozen? A: Thanks for ordering the quiche from Pastries Chefs. For best results heat the quiche by simply placing it in the oven at 350 degrees for 15-20 min if it is frozen or 5-10 min if defrosted. 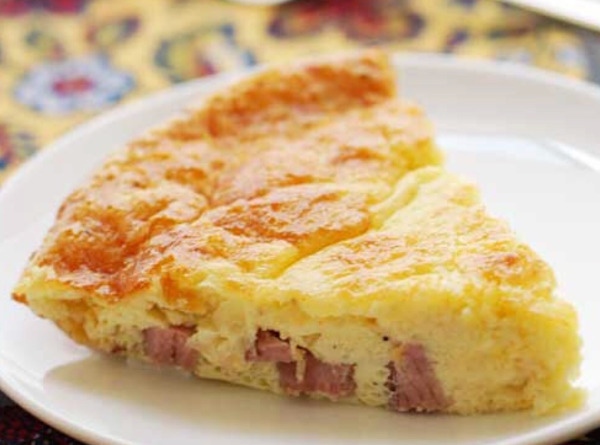 You can also place the quiche in the microwave for about 30 sec. previously removing the aluminum pan. Enjoy!